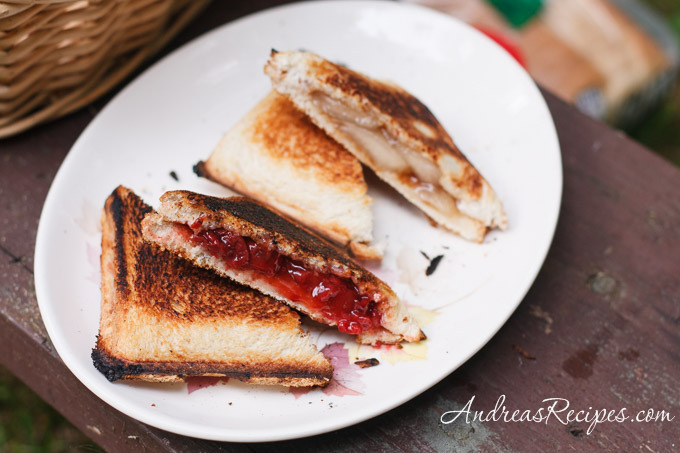 Raise your hand if you know food is an integral part of any camping expedition. Realize that I’m raising both my hands because I’m a complete foodie. If the food is great, I’ll camp practically anywhere. 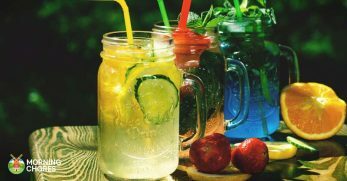 The next time you go camping, you need to try out some of these amazing camping recipes. Not only will it keep your crew full, but it might also encourage more camping trips. 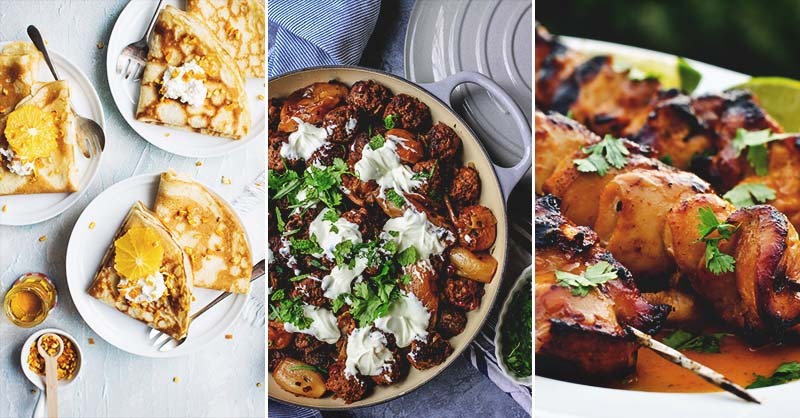 If you’re running low on campfire recipes, don’t worry. We have you covered. Don’t talk to me in the morning unless I’ve been caffeinated. It’s a simple house rule my crew has learned well. Well, the same rule applies at camp sites. Therefore, it’s important to know how to brew delicious coffee over an open fire. Would you ever guess I’m not a huge pasta person anymore? 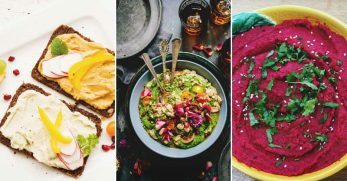 Many people are discovering they have gluten issues which ruin this for them. 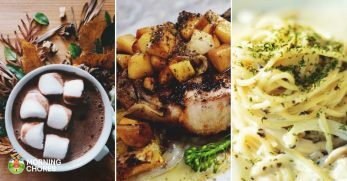 But if you’re one of the lucky few who hasn't developed stomach troubles from pasta, you need to try this recipe. 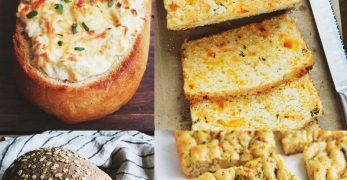 It’s cheesy, delicious, and is made over an open fire in a cast iron Dutch oven. When you go camping, S’mores aren’t only a thing you eat. 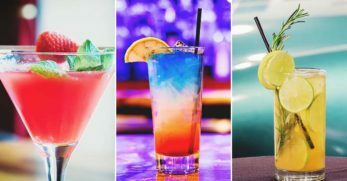 They’re an absolute must-have. 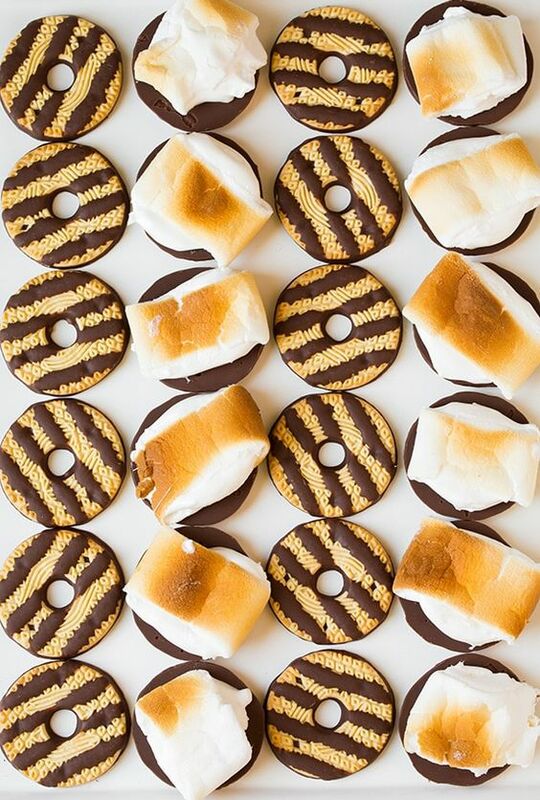 But I love making different varieties of S’mores. In this case, you use fudge striped cookies in the place of graham crackers. 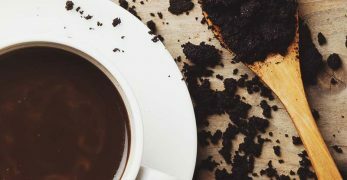 They require fewer ingredients because the chocolate is already on the cookies. Slap a roasted marshmallow on there, and you’re good to go. These tarts require a special roasting stick to be able to hold them over the fire. Once you have this, you fold canned biscuits around the cup of the stick and roast. From there, you fill the cups with fruit and whipped cream. It’s genuinely this simple to have a delicious campfire dessert. Did you know you could bake a pie over an open fire? Maybe not the pie you’re thinking of, but these pies are delicious and easy to make. You’ll need a cast iron toaster for bread. 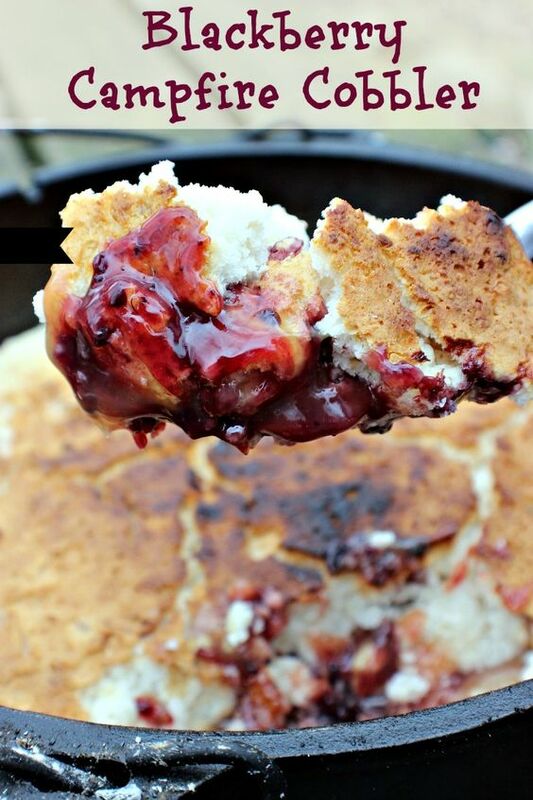 You place the bread on the cast iron, fill with fruit pie filling, and place another piece of bread on top. You toast the bread and have warm hand pies when done. These hand pies are closer to traditional hand pies and look delicious. 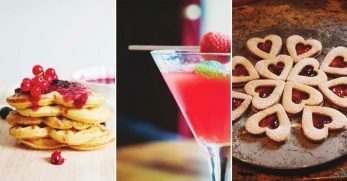 You use store bought canned pie crust and cut out small circles. Fill the circles with pie filling and close with another circular pie crust. Wrap in foil and place in a cast iron pan on hot coals until finished. What an easy and delicious way to make S’mores without much fuss. 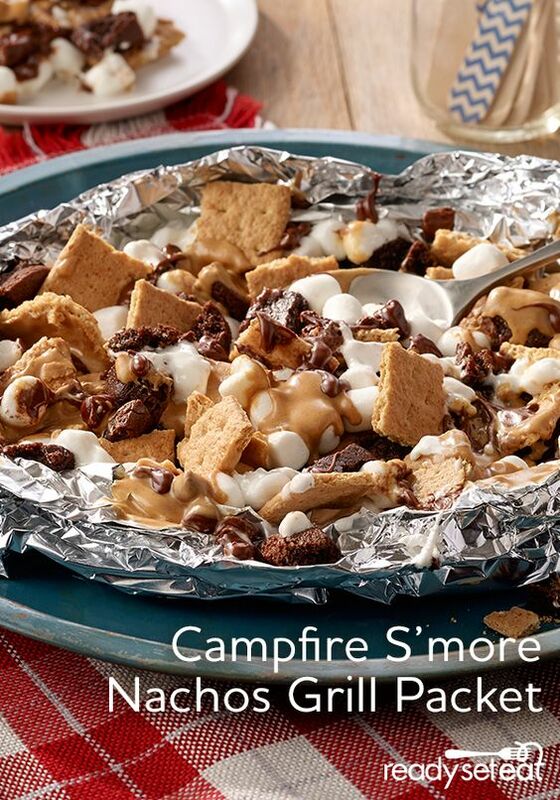 You fill a foil packet full of peanut butter, chocolate chips, graham crackers, and mini marshmallows. Place the packet on the grill until everything has fused together. Open the package and top with whipped cream for a complete dessert. Another simple campfire recipe. You slice a French loaf into 12 slices. Between each slice, you apply mustard, ham, and cheese. 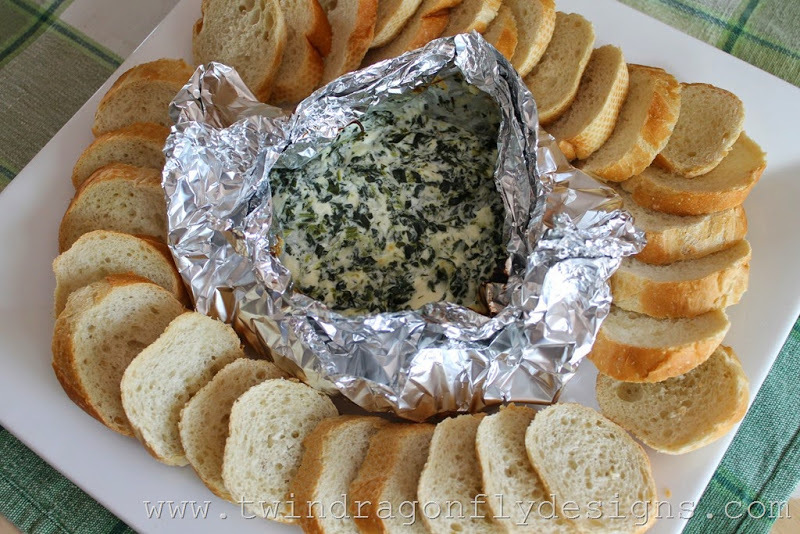 Wrap the bread in foil and place over an open fire until the bread is toasted and the cheese has melted. This is a simplified way of making delicious French toast. 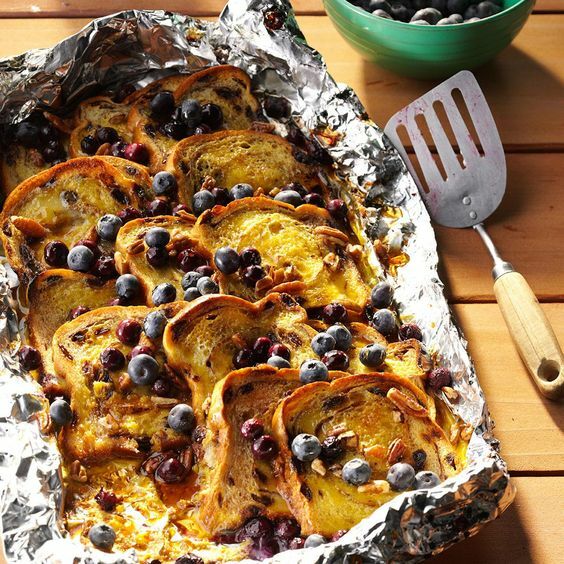 Place cinnamon raisin bread in a foil packet. Pour an egg, vanilla, and milk mixture over the bread and add fruit. Close the packet and place over an open fire until the bread is cooked fully. A great way to start the morning when camping. Foil packets are an excellent way to make a meal any time of the day. It’s no surprise they come to the rescue yet again for lunch and supper time. Again, fill the foil packets with shrimp, smoked sausage, corn, and spices. Place over a fire until everything is cooked. Dump cakes are some of the easiest yet tastiest desserts around. This apple dump cake is no exception. 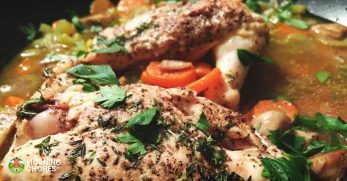 Simply dump the ingredients in a foil-lined Dutch oven in the specified order. Place the Dutch oven over hot coals and allow the cake to bake. You’ll have a delicious dessert in no time flat. Who doesn’t love doughnuts? 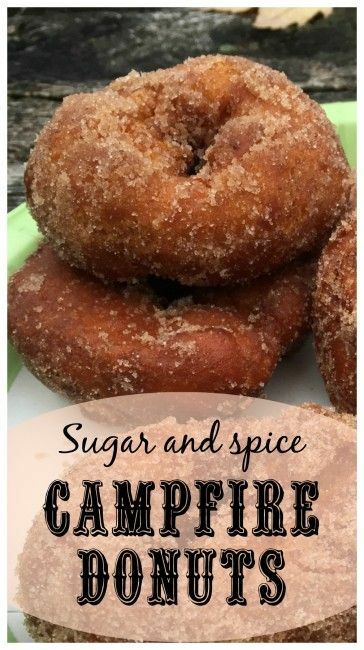 Who wouldn’t like fresh doughnuts made over a campfire? 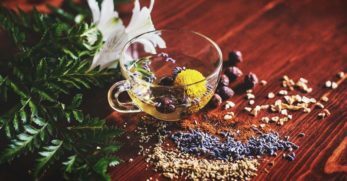 This recipe walks you through the entire process. 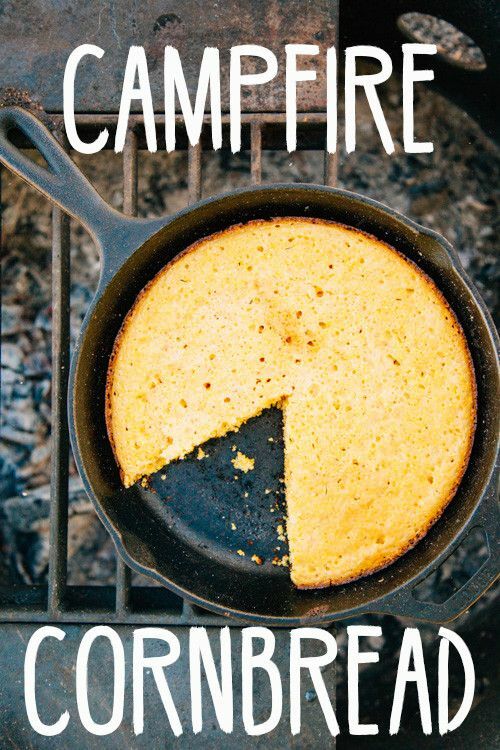 In short, you mix the batter and cook the doughnuts in a cast iron skillet over a campfire. If you’re looking for a tasty way to start the day camping, these doughnuts could be it. Fries are a delicious addition to any meal, any time. When you add garlic and cheese to the mix, it’s a home run. Again, these fries are made in a foil packet. Fill the packet with frozen fries, garlic, cheese, and a few other spices. Cook over the fire until done. When you camp, you do all kinds of things you probably wouldn’t do any other time. 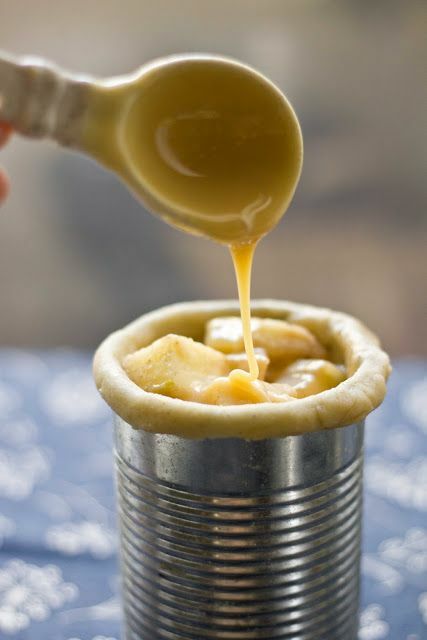 Baking an apple pie in a can is one of these things. 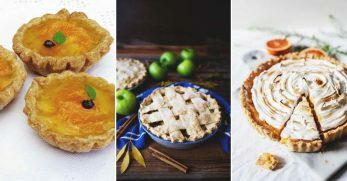 It would be wise to pre-make these pies. Then you could easily cook them over a fire and not have to mess with as much prep work. These cinnamon rolls are another easy breakfast idea when camping. You use canned cinnamon rolls and place them on a skewer. Most people enjoy hearty food when they’re out camping because you burn a great deal of energy while in nature. These campfire potatoes are what you and those you’re camping with require to replenish your energy and stay full. Though there’s no formal recipe for this dessert, it seems pretty self-explanatory. 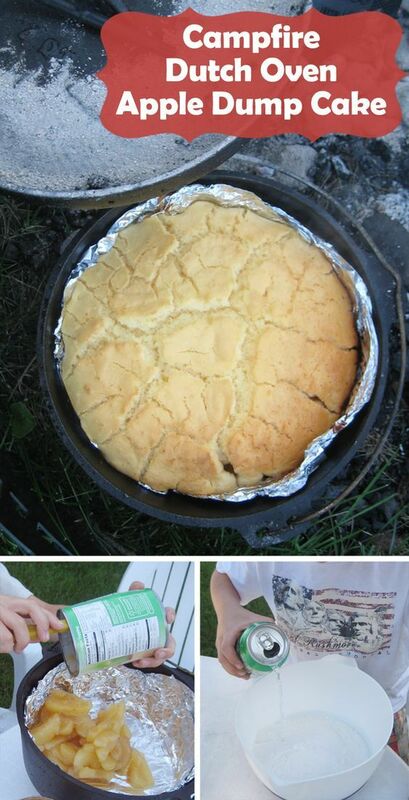 You cut up a pound cake into cubes and place in a cast iron pan over the campfire. Be sure to top the pound cake with fresh berries and chocolate chips. Wait for the chocolate and berries to melt together, and you’ll have a delicious dessert. 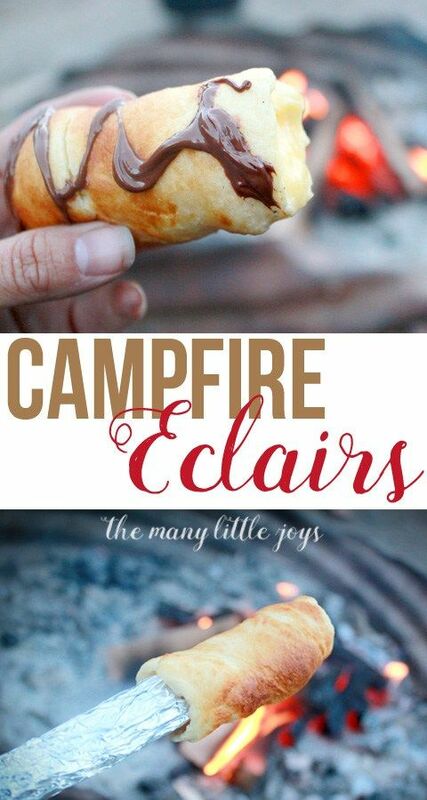 These eclairs seem to be easy enough to make in a camp setting. Place the canned crescent rolls on a skewer and hold over the campfire until the rolls are complete. Fill them with vanilla cream and drizzle Nutella over the eclairs to finish the dessert off. This is a neat way to make a healthier version of a S’more. Cut a ripe peach in half and remove the seed. Place cinnamon, brown sugar, and a giant marshmallow in the center. 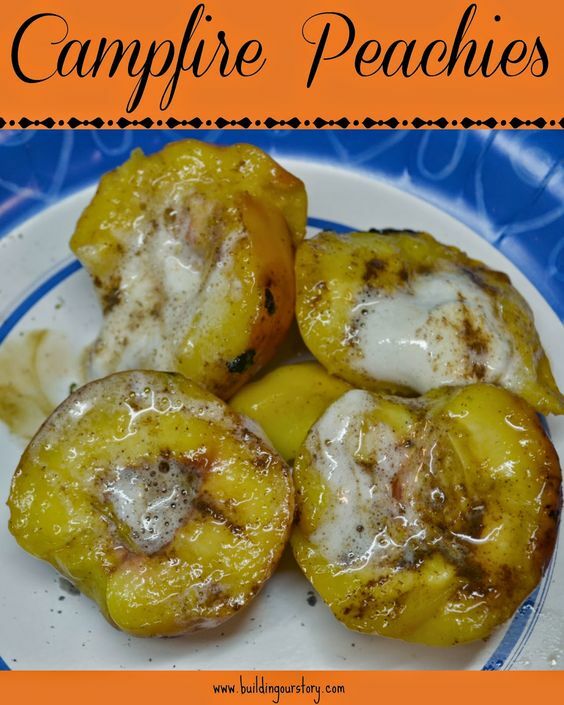 Wrap the peach in aluminum foil and roast over the campfire until everything is heated. Serve the warmed peach with vanilla ice cream. 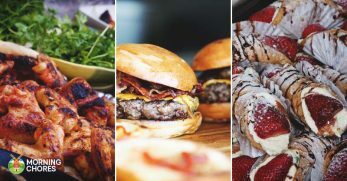 When camping, you want delicious food but simple food as well. This campfire bake appears to meet both criteria. This bake consists of macaroni noodles, a can of chili, corn chips, and cheese all baked together to form a delicious dinner. Nachos are a wonderful camping food. You can get all of your food groups in a one-pot meal. It also lends to less clean-up. These nachos have beef, corn chips, cheese, lettuce, tomatoes, jalapenos, onions, and taco sauce. It sounds like a delicious way to end a day of camping. I love French toast. It’s probably one of my favorite breakfast foods. Which is why I must share this recipe for making it over a campfire. You mix up your wet ingredients and pour over a loaf of bread which has been wrapped tightly in parchment paper. You also can add fruit and nuts. 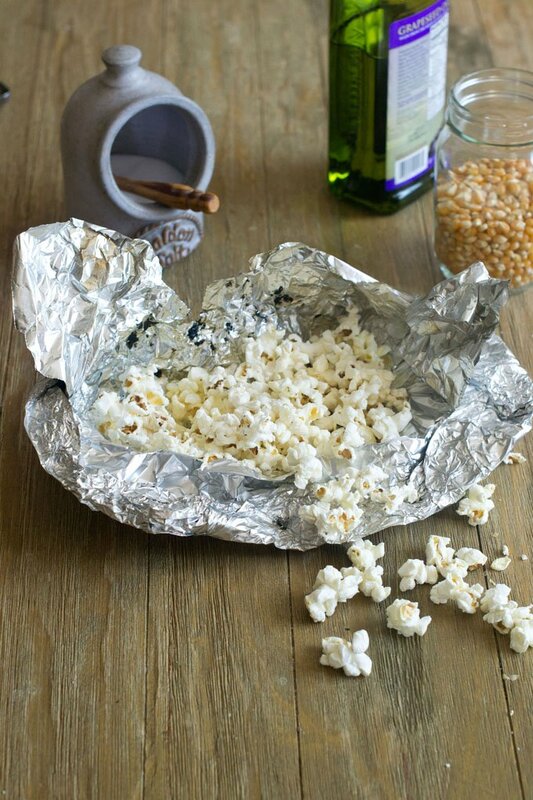 Wrap the whole thing in foil and place over a campfire for approximately 40-45 minutes. 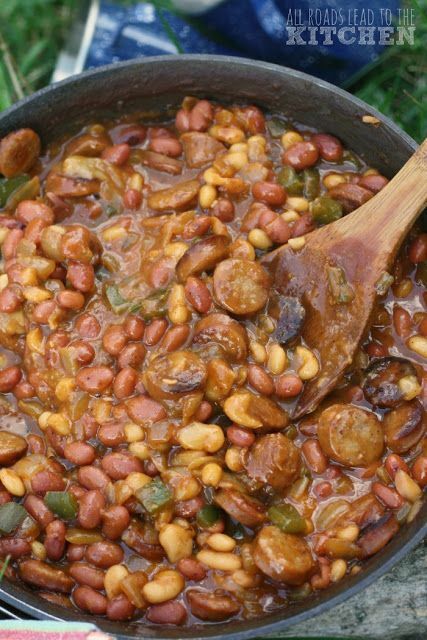 It’s common for campers to enjoy pinto beans which have been cooked over a campfire with seasonings and country ham. But what’s pinto beans without cornbread? Well, you won’t have to miss the cornbread thanks to this recipe. I’m a cobbler fanatic. Didn’t I warn you I’m a foodie? This recipe is similar to a dump cake being baked in a Dutch oven. The main difference is this recipe calls for blackberry flavored ginger ale. 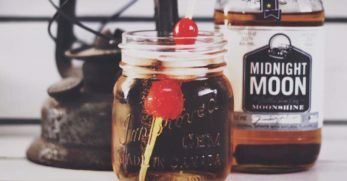 It gives the cobbler more flavor with ease. Beans and weenies have been around for many generations. 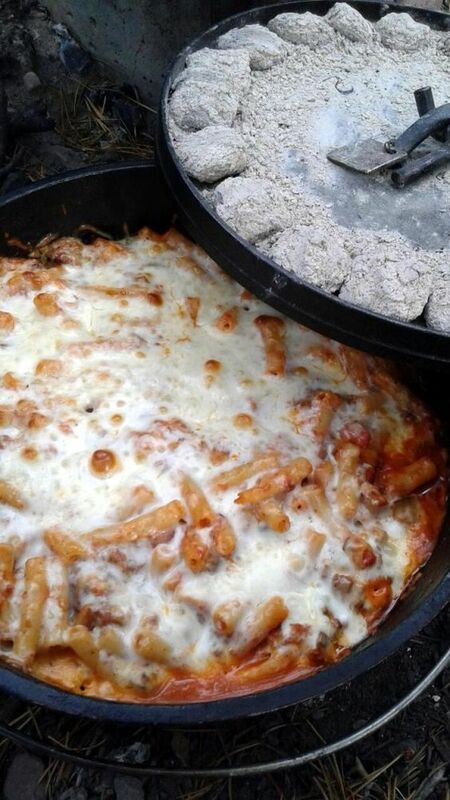 It’s a typical camping food. 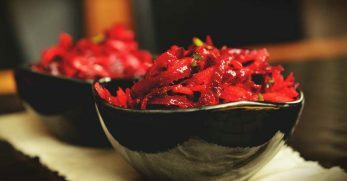 If you’d like a great recipe for this old favorite, you’ve found it. You mix beans, beer, barbecue sauce, onions, peppers, and your choice of sausage or hot dog in a pot and let it stew together. Would you like to have freshly baked bread even when camping? Well, you can with this method I’m about to share with you. You’ll need to prep the bread dough before your camping trip. Grease a coffee can and place the dough inside the coffee can. Bake for approximately 40 minutes. I’m a lover of Philly cheesesteaks. There’s no better sandwich in my opinion. The fact they can now be made while camping is fantastic. But what’s even better is how easy it is. 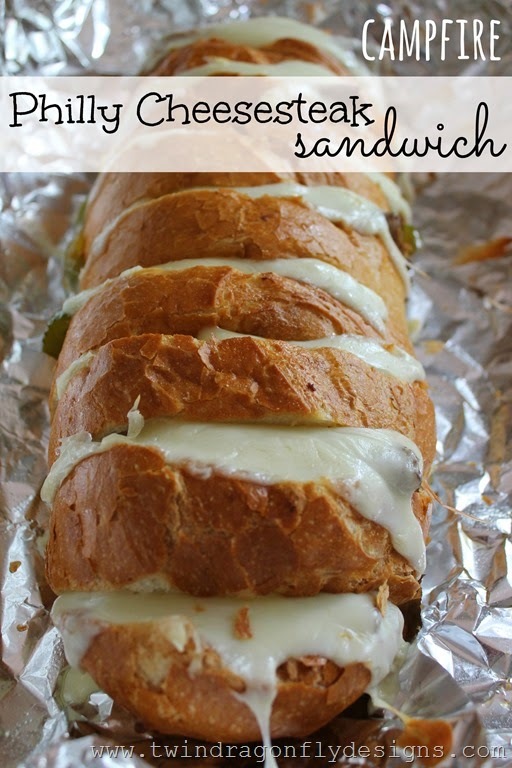 You slice a loaf of bread and fill it with all of the cheesesteak ingredients. Wrap it in foil and cook over the fire. How easy, right? But if you don’t like S’mores, you can make these campfire strawberries. They’re strawberries with a roasted marshmallow around them. They look great! 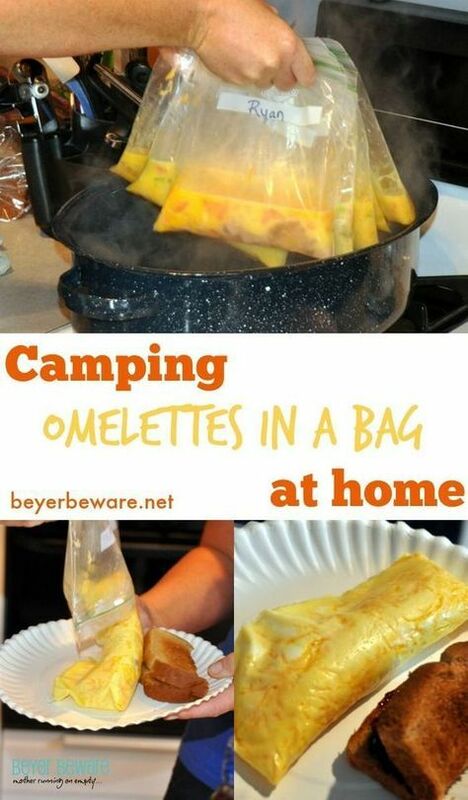 Omelletes in a bag is a great recipe which can be used for camping or even for making omelets easier when at home. Either way, prep the bags with eggs and omelet filling. 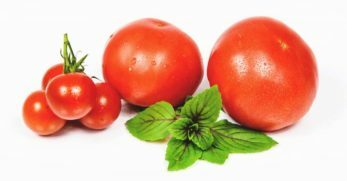 From there, drop them in boiling water until fully cooked. 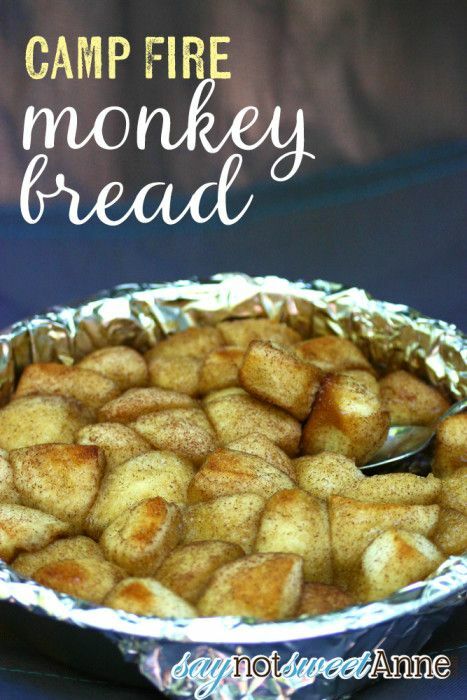 Monkey bread is a delicious dessert bread, snack, or even a breakfast choice. Would you be astonished if I told you it could be made fresh at a campsite? Well, thanks to this recipe you can. 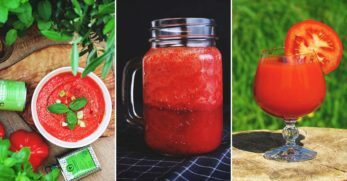 When you wake up and crave something gooey, sweet, and delicious – pull out this recipe and make it fresh over a campfire. Breakfasts casseroles are the best. 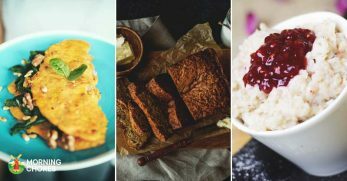 It’s a wonderful way to get everything you want for breakfast in one easy dish. 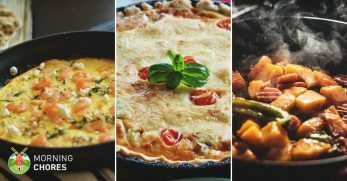 You’ll mix hash browns, eggs, ham, onions, cheese, and diced tomatoes with a few other ingredients in an aluminum pan and bake over an open fire. Are you looking for a fun way to still get your kids to eat some fruit while out on the camping trail? Try these banana boats. Slice the bananas open and fill them with chocolate, marshmallows, and graham crackers. 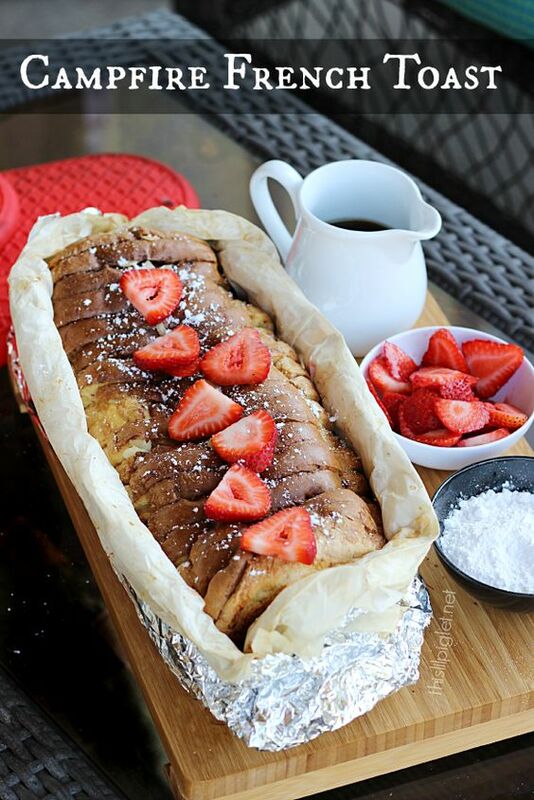 Wrap in foil and toast over the campfire. Everybody loves a delicious hot dog while camping, but what about a pig-in-a-blanket? They were my favorite growing up. Well, you can have them over the campfire now. 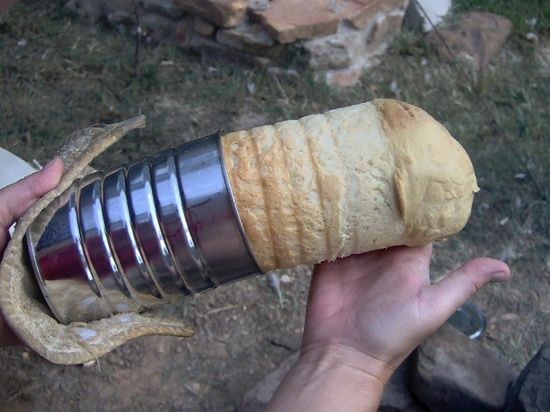 You place the hot dog on a skewer, wrap the dog in a canned crescent roll, wrap it in foil, and roast over the campfire. Who doesn’t love mac-n-cheese? I have gluten issues and will still indulge in macaroni and cheese on occasion. 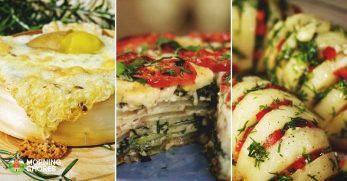 It’s a delicious comfort food loved by people of all ages. Which is why it should be included on your next camping trip. This recipe allows you to bake the mac-n-cheese in an aluminum container over a campfire and have a gooey, cheesy side dish to your campfire dinner. The first time I saw these cones, I knew they had to be included on every camping trip I took from then on. 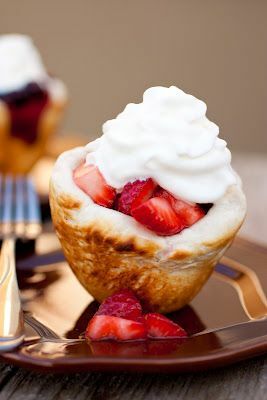 If you’re looking for a delicious campfire dessert, try these cones which are filled with chocolate, marshmallows, and fruit. They’re finished by being wrapped in foil and toasted over a campfire. My youngest child loves quesadillas. He’s an extremely picky eater and there for a while, quesadillas is all he would eat. Which is why I knew this campfire recipe was worth sharing. 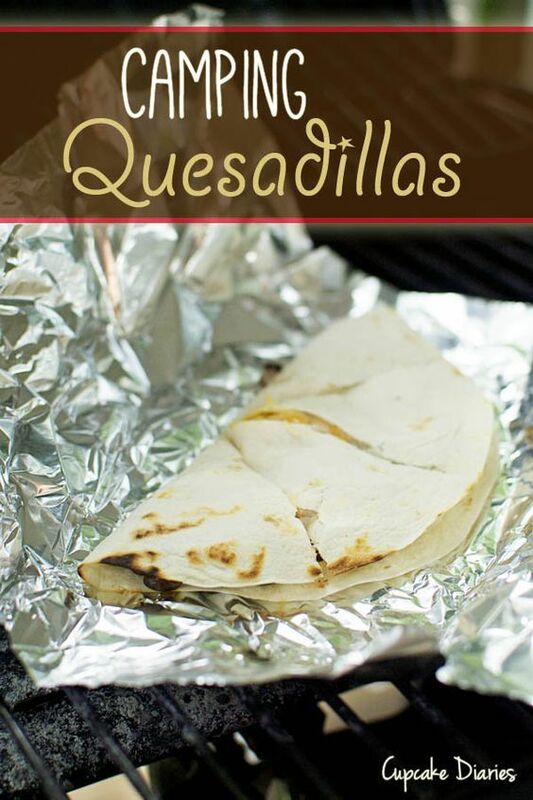 Quesadillas can be made with many variations making them both adult and kid-friendly. When you go camping, food is part of the process. You sit around a campfire, talking, and eating. It’s the way it is. But you need to have good food to keep the conversation going. 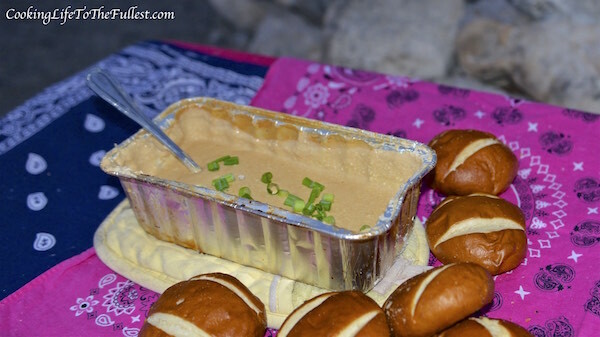 When you need a good camping snack, try this beer cheese dip and pair it with pretzel bread. 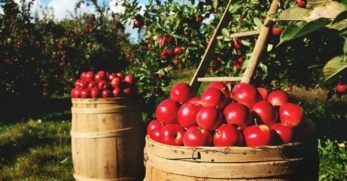 Baked apples can be a delicious and simple dessert to enjoy when camping. You hollow out the inside of the apple and fill with anything of your choice. 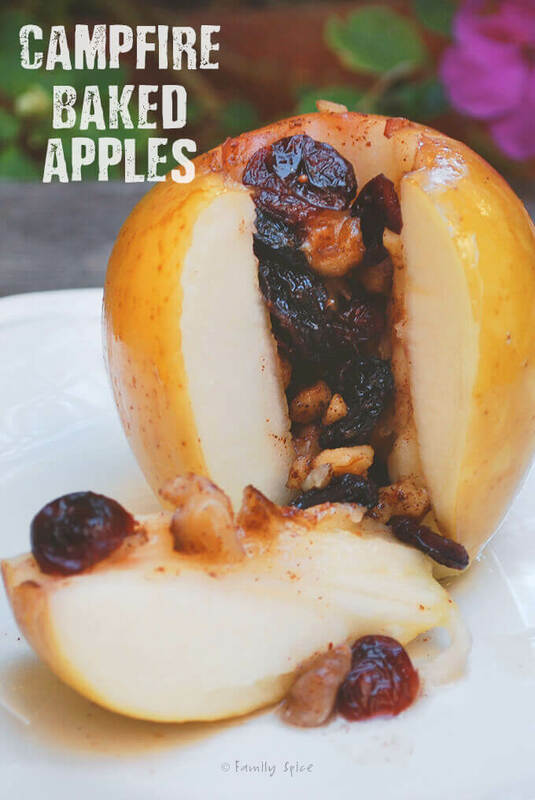 This particular recipe shows the apples filled with dried fruit and nuts. However, you could fill it with caramels and chocolates on top of the nuts or fruit as well. Spinach dip is amazing. When I was younger, I wasn’t a huge fan of it. But one day, something clicked. The mixture of the spinach and the delicious cheese was enough to get me hooked. Since I now love it, you can imagine I’m over the moon knowing it can be prepared in a foil packet at the campsite. The next time you camp, give it a try. Popcorn and camping are almost as commonplace as S’mores and camping. Yet, there’s an art to popping popcorn over an open fire. This tutorial will walk you through the process. Once you get the hang of it, you have an inexpensive snack you can munch on as you sit around a campfire. Making sure you get enough protein on a regular basis is important. But when you’re camping, protein is even more important. It keeps you fueled longer. 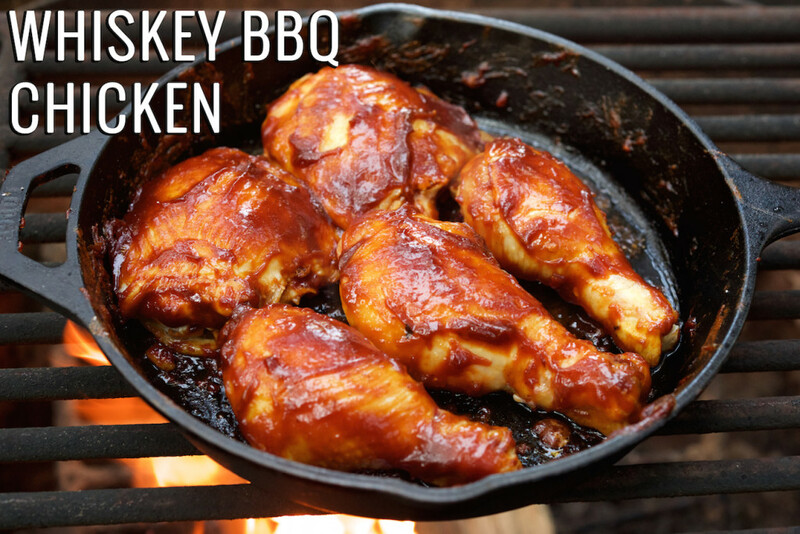 Which is why this recipe for Whiskey BBQ chicken is something every camper should know about and learn how to make. It’s a delicious way to stay fueled and full while out camping. 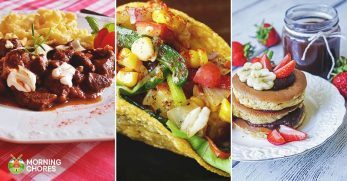 Now you have 41 different recipes to choose from for your next camping trip. 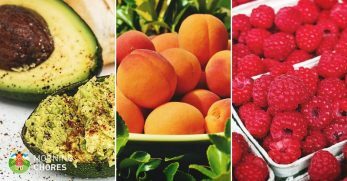 These foods should keep you full while you’re making memories with those closest to you.